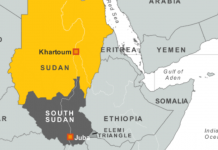 Nairobi (HAN) July 21, 2014 – Diplomacy & Diplomatic News: U.S. Ambassador Tom Kelly, It would be the first ambassadorial posting for the career civil servant. Thomas P. Kelly III appeared before the Senate Foreign Affairs Committee on May 13, 2014, as it considered his nomination, five weeks earlier, by President Barack Obama to be the U.S. Ambassador to Djibouti, a small East African nation that hosts Camp Lemonnier, headquarters for U.S. Africa Command’s Combined Joint Task Force – Horn of Africa, the only U.S. military forward operating site in sub-Saharan Africa. It would be the first ambassadorial posting for the career civil servant. Kelly grew up in Manhattan Beach, California, and attended college at Georgetown, earning a B.S. in Foreign Service and an M.A. in Latin American Studies in 1984. He joined the State Department in 1985, with his first overseas posting coming that year in San Salvador, El Salvador, where he served for two years. He returned to Washington in 1988, and served in the Bureau of Economic and Business Affairs. Then in 1990, he went to Santiago, Chile, staying there until 1993. The following year, he took time out to earn another degree, this one an M.A. in economics from Stanford. After that, he was sent to Paris, where he was trade attaché until 1998. Kelly returned to Washington to be director for Japan Policy Planning at the Office of the United States Trade Representative. He held that post until 2000, when he returned to Latin America, this time to Ecuador, where he was the economic officer and subsequently economic counselor at the embassy in Quito. 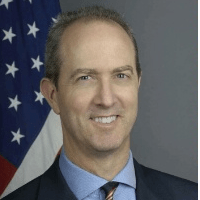 In 2004, Kelly was named deputy chief of mission for the embassy in Vilnius, Lithuania, staying there until 2010, when he assumed a similar post in Buenos Aires, Argentina. Kelly was then named consul general in São Paulo, Brazil, remaining there until the following year. He then returned to Washington, where he was acting assistant secretary (principal deputy assistant secretary) for the State Department’s Bureau of Political-Military Affairs. In that role, he worked in coordination with Defense Department officials on regional security issues. Among these were maritime security issues, such as pirates off the coast of Somalia, making him familiar with the region of Africa in which he is to serve. Photo: U.S. 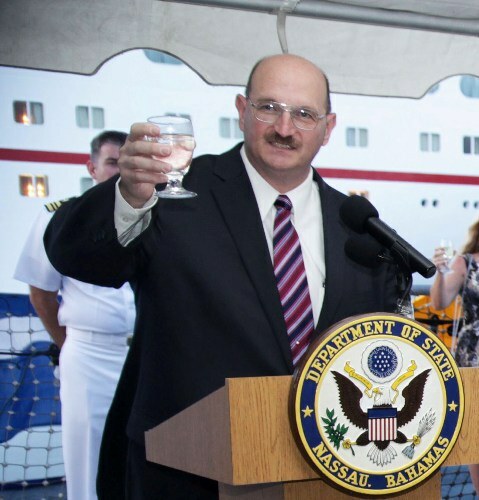 Charge d’Affaires John Dinkelman gives official remarks and toast at the 4th of July celebration.